Nimonik is happy to announce a brand new design for Legal Registers, otherwise known as Legal Profiles or Requirements for Compliance. This is a requirement for a procedure that explains how the organization obtains information regarding its legal and other requirements, and makes that information known to key functions within the organization. 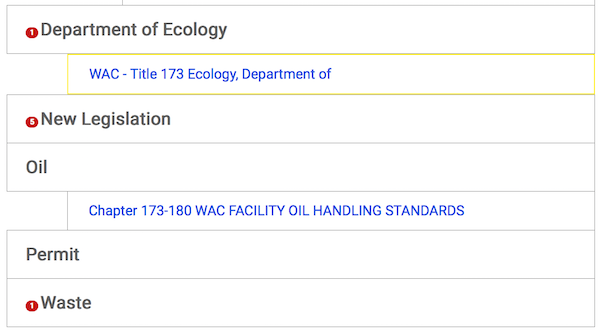 The intent of this element is to identify the environmental legal and other requirements that pertain to its operations and activities so that the organization can ensure that they are taken into account in the EMS. In doing so, the organization must also determine how these requirements apply to the significant aspects. 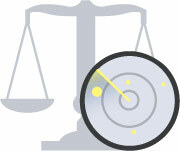 b) determine how these compliance obligations apply to the organization. the adequacy of resources required for maintaining an effective environmental management system. 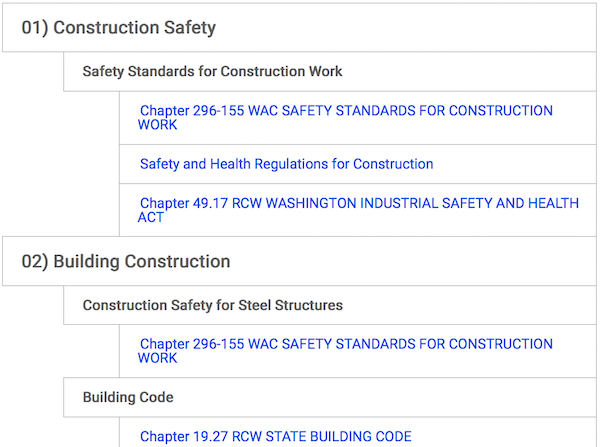 A slideshow we produced summarizes how these requirements can be handled in a streamlined way, but below are some screenshots of the new legal registers that allow you to manage your requirements to demonstrate your compliance obligations. With Nimonik you can access regulations for over 65 countries and then quickly organize them into your business activities. Nimonik also offers services to build your legal registers and to conduct gap analysis on your existing list of environmental and health and safety regulatory requirements. The Nimonik system then keeps you up to date and allows you to demonstrate to third party auditors that your legal register is both accurate and current. 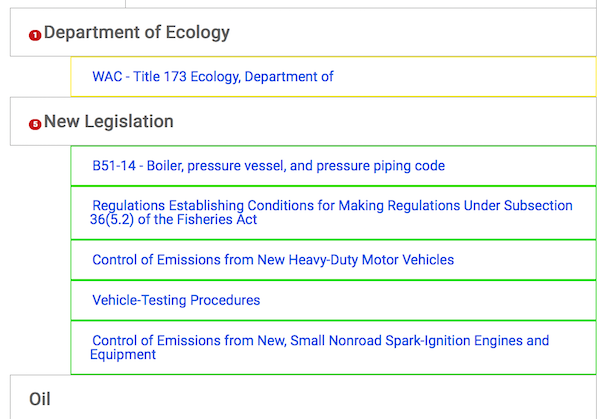 When a new regulations is introduced that might affect you, it is proposed in green. 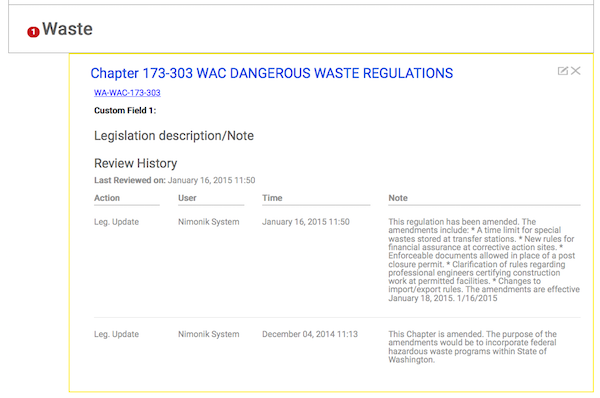 When a change to a compliance obligation occurs, it is highlighted in yellow and you can review it. Truly, the best way to understand how Nimonik can help you streamline your obligation requirements is to participate in one of our free webinars or contact our team at info@nimonik.com for a personal conversation about your business requirements.